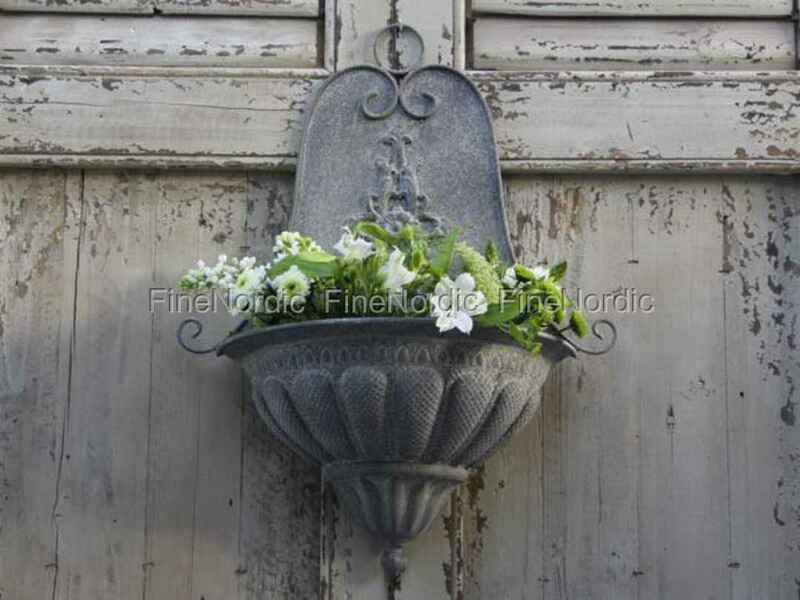 Chic Antique’s Old French Wall Flowerpot is a good-looking decoration. Embellished with beautiful ornaments, the grey wall flowerpot is an eye-catcher in the living room, the hallway, and also on the covered terrace. The metal wall flowerpot, in French country home style, can easily be hung up on a wall and you can equip it just to your liking. Decorate it seasonally or with the greenery you prefer. It is a beautiful home accessory for the inside as well as the covered outside.